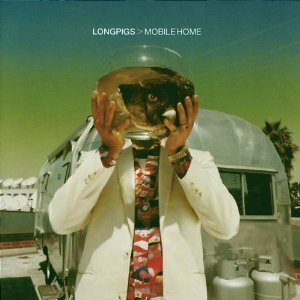 Crispin Hunt (vocals), Richard Hawley (guitar), Simon Stafford (bass) and Dee Boyle (drums) formed Longpigs in Sheffield, England in 1994 (‘Long Pig’ is a translation of a Pacific Islander term for cannibal meat). Life for Longpigs could have been short-lived, literally. Singer Crispin Hunt’s near fatal car crash in the days of the band could have spelt the end before the journey had begun, but with a recovered frontman and a deal with Elektra Records, Longpigs could look forward with anticipation to the release of their first single. Unfortunately life had a another roadblock just around the next corner as the label folded before their single would even see the light of day and Longpigs found themselves tied into a deal requiring a £500,000 buy out. Their luck turned when U2’s Mother Records came to the rescue and three singles, ‘She Said’, ‘Happy Again’ and ‘Jesus Christ’ finally hit the shops in 1995. 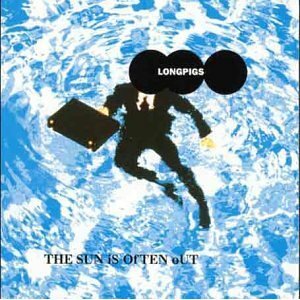 In between touring extensively (supporting the likes of Echobelly, Supergrass and Radiohead), Longpigs continued to produce single releases with ‘Far’ breaking the Top 40 in 1996 and ‘On And On’ the Top 20. April ‘96 saw the release of the band’s first album ‘The Sun Is Often Out’ and recognition in both Q and Melody Maker’s Top 50 Albums of the Year. The US loomed large with tours supporting Echo & The Bunneymen, the Dandy Warhols and, eventually, U2 on their ‘PopMart’ shows raising the band’s profile stateside. The momentum gained by the band’s hard work proved short lived however when a combination of drink and drug issues, a second album ‘Mobile Home’ only briefly prodding the Top 40 and Dee Boyle’s departure (to be replaced by Andy Cook) all took their toll. Hot on the coat tails of these setbacks Mother Records went the way of the band’s first label and a now rudderless Longpigs took the decision to call time on their brief career. Subsequent to the split Crispin Hunt formed ‘Mayonnaise’ and ‘Gramercy’ before concentrating on songwriting and producing whilst Richard Hawley has enjoyed a successful solo career. Simon Stafford joined Joe Strummer’s ‘Mescaleros’ and has worked extensively with Jarvis Cocker. 3 Loop Music released On And On: An Anthology, a 2CD album covering the band’s career in April 2013. The 33 track collection includes all the singles plus key b-sides and tracks from their two albums as well as 5 previously unreleased tracks.